A friend I admire sent me a link to an interesting article in the Deseret News about some famous LDS athletes who have had to grapple with the decision of whether or not to serve a mission. The writer, former NBA star Travis Hansen, served his mission in Chile, and wrote the story to share his view on how those two years can provide “a master’s degree in experiences.” The examples of qualities he feels missionaries can develop during that time range from leadership, diplomacy, humility, gratitude and communication to learning to handle criticism and conquering fear. And I have no doubt he’ll do that… and more… ’cause that’s what David does … more. He always seems to work even harder, longer, and with more commitment than you imagined he could. He also continues to defy our expectations of him. Mine, anyway. And I’d foolishly thought I didn’t have those. The night of his Announcement taught me different. Turns out, I’d been seeing what I’d wanted to see… a David soaring from a successful Christmas tour ready to write new music, find his own sound and take the recording industry by storm… um, nope. Without realizing it, I’d mapped out my ideal version of his future. I think I’ve learned a painful lesson though. At least I hope so. My motto now? Let it be. Let him be. And I feel more peaceful about things by not dwelling on the particulars of what he may be doing* or even what he’ll do when he gets back. This is his time, his life, and after much angst (mostly separation anxiety I guess), I’ve come to realize I can only say, “Via con Dios, David.” Go with God. Wherever He may lead you. Yes, I admit I pray for him to stay safe and to be happy but I trust he’s in good Hands. I have no doubt he’ll make the absolute most from this experience and that he’ll remain focused on what he can give, not what he can get — because that’s what David’s always done — whether it’s on Idol, on tour, or in his neighbourhood. But I can’t focus on his present beyond that, only my own. And I can’t focus on the future either. I sincerely hope that David emerges from these two years an even stronger, more fortified, grounded, rebooted version of his already amazing self, ready to make new music. But the truth is, anything could happen in two years, to any of us. And as much as David was sincere when he held up that “I’ll Be Back #DA2014” sign — even he doesn’t know where his head and heart will be in 2014. Of course I want him to pick up where he left off and start writing, recording and performing again but I don’t want to weigh him down — or myself, for that matter — with expectations for what will happen in 2014. Call it denial or self-preservation but it feels right to enjoy the here and now, and leave the rest up to someone else. So while I believe David’s doing exactly what he needs to be doing and is right where he’s meant to be — and that he’s certainly earning that master’s degree in experiences … heck, a PhD, knowing David — I can only focus on the riches he’s left us with today (and come Aug. 7th 🙂 ). And what riches they are … I find myself bursting with gratitude for the four years of beautiful music — and bunny suits — he’s given us so far and all that he worked so hard to finish for us before he left. I’ll never stop supporting him, that I do know. His voice is pure love, I know that too. So how about you guys? Where are you at on this crazy elevator ride we’re on? 54 Responses to Somewhere to BEGIN…. Aw TOfan, this is so beautifully written! Loved reading every word you expressed, honestly. I agree, I think it is good to just focus on the here and now and enjoy all the wonderful gifts David created for his fans. No one can predict what 2014 will bring but I can’t help but feel that David will be back in to music. For David to give up music would be something akin to him giving up food, lol. As long as he has a voice I think he will sing, don’t know in what capacity but it seems that it is written (or engraved) in the heavens! Yes, he’ll return with his PhD in experiences I’m sure and we’ll be here because as you said “His music is love” and so it seems, is he. He will be back and will be back to music. He made a promise while he was here in Manila to us in a group and individually to Naree and myself. And even w/o that promise, music is air to him so it would be unthinkable for him not to do something that makes him come alive. I was doing so well avoiding chocolate today until you mentioned it. Good thing I don’t have any in the house … oh wait, I do have some chocolate chips ……….. Very nice Tofan!! It’s wonderful to experience how far fans have come in Acceptance since David’s big announcement!! I am learning on this journey. My favorite saying of David’s was one you quoted “I can’t wait to bring back the person I become while I’m gone” Jennifer used that quote on the calendar DavidArchuleta! for July. Loving all the gifts David has left us!! Yes, David will definitely learn a lot while he is gone and I’m hoping to myself as well. So thankful that you are keeping the Fan Site going. Supporting each other has made this journey more rewarding. Wish I could give you a big HUG!!! Loving the present! Looking forward to the future! In a “Good Place” for sure! thank you so much! TOfan: very well written. I think a lot of us had put our expectations on David and as much as I miss him, I feel nothing but happiness for him for doing what he needed to do. It is his life not mine or ours to live as he feels the need to. For someone so young, David is one of the bravest and most amazing human beings!! He follows the road less traveled instead of what is popular!! BTW “Bridge Over Troubled Waters”snippet is simply sublime. Wowza! Deb, you probably already know how I feel about this piece. For all the fun I have had (still do) with David the musician and entertainer, I am in the place you describe when it comes to David the person. “Let it be. Let him be.” Exactly this. My 2014 expectations for David are more like heartfelt wishes. If he finds his way back to music, I will be there. If he doesn’t, he will always have my respect and gratitude for what I have experienced because of him. beautifully put, Geez… and thanks again for sending me that article, as you can see, it forced me to take a good hard look at a few things <333 … "heartfelt wishes," I like that! Deb!!! You made me cry 😦 What a beautiful post and as Jonerz said, a realty check!! I also agree with every word you said….and this really hit home…”Without realizing it, I’d mapped out my ideal version of his future”. I think we may have all done this without realizing that this young man may have a totally different vision of what he wants out of life!! I will be a life long supporter of David’s in anything he chooses to do with his life and as much as I want it to be in music, he will make his mark in this world and we will all be proud of him 🙂 I think we could all use a huge group hug…..
Awwwwww…best group hug ever!!!! Thanks girl 😀 Now I’m off to my crying corner for another little sniffle :(. OMG…a hug of a lifetime…woo to the mega hoo!!!! Aw!! How Sweet!! Hugs to all!! This is where I was, too. And I was on the one hand stunned when he made his announcement and then….not. Now,I’m just happy that he is happy – that he is following his hearts desire – and I’ll support whatever he does – how can we not when he gives so much love back to us? I’m riding the high from Forevermore and looking forward with great anticipation to BEGIN. Thanks for reminding me to stick to my “Let it be” committment. I hope that someday soon I get to meet the snowangelz peeps 🙂 I also hope that when David comes back, he will have a concert tour in Canada going! (((hugs))) back at ya, Refnaf! David leaving temporarily might just be one the best things that happened to most of us, even if we do not realize it yet. For David, it definitely is the nourishment his soul craves. Professionally, it may be the reboot that his career sorely needs. Apart from the fear and the pang of the void that his absence produced and will still create in the remaining months, it may be a great opportunity to regroup in our personal circumstances. Have taken that chance to grow further, as David is doing right now. I think David would like that and would be happy to learn of our individual growth. 100% with you TOfan. “Let it be. Let him be.” Now and in the years to come. That’s the way I look at it JR. It has given me time to look at my own life more. I’m still as hooked daily on checking the sites. I appreciate all you do to keep us up to date and Archive everything. I do appreciate Snowangelz too for her contribution of Humor and now a more serious accepting Article. I did go to the Article too Tofan and re read your article. Thanks again!! TOfan….so grateful you put into words what I have been thinking. I completely agree with you, and others……is it too late to get in on the hug??? Let it be. Let him be who he is. He (and we) will be better for it. I feel confidant he will come home with that phd In life experience that will enrich him and his music forever. Interestingly, much of the purpose of a mission is about developing those qualities (mentioned at the beginning of the post), getting outside of one’s self, serving in the community, and building a solid spiritual foundation….at a time in life when some young people are unsure of their future plans and need some ‘growing up’ time before making important life decisions. David is following his heart as he has always done. We should all be so good at doing that! Whether he comes back to music depends in some part on us fans…….if we are still here to support him he will have a place to BEGIN again. I can’t imagine him not doing music if he has the support for it. And I’m pretty sure he will come back even better than he left us. In the meantime, I hope I can be better, too…..all the while enjoying his wonderful gifts. I know I will always be a supporter of this amazing young man and consider it a blessing to be a fan. 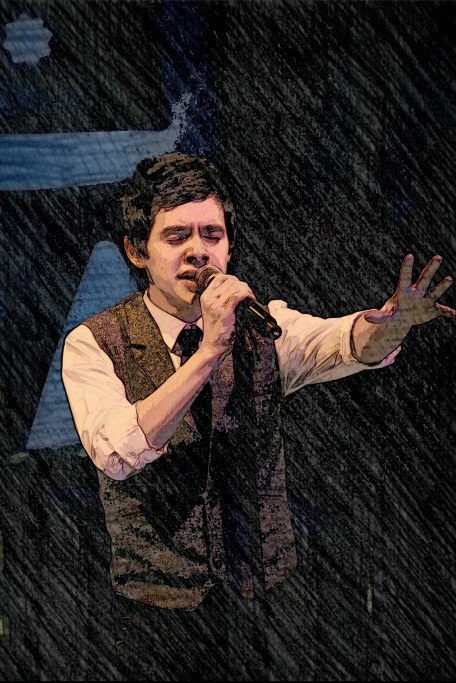 Thank you, David Archuleta!!!!! ……..and thank you TOfan for your beautiful words. We Are Beautiful!! David said so!! Squeeeeeeeeeeeeeeee!! tofan, you are beautiful (wordoftheday). Your sentiments come from the place of deepest respect and caring. You can’t do better than that. I have settled my ups/downs, my happys/sads….and found that let it be place. Feels good. I expect I will have the occasional setback, but that’s okay too. It is a Beautiful day! Stunningly Beautiful, in fact. So Beautiful I can’t take it. tofan, friendly advice – do not listen to BEGIN. for the first time while driving a motor vehicle or operating heavy equipment. …and another great post from @VeeBee here. TOfan…bravo and a standing ovation for you. This is a beautiful article including the pictures. Somehow it gives some peacefulness that we always appreciate. The quote by Mother Teresa ending with begin. gives us another look and usage of the word! How does that happen that he can cause such a stir with a single word? Now ‘beautiful’ has become the word of conversation in addition. I am going to chose to live the next several months with the thought that he will be returning to music and the music will allow his fans to see him once again in concert. I would love a little of that time to be watching him with the MOTABS as a guest performer. Just wanting to put that out into the universe! But until then the new album will be wonderful! Thanks Deb for this lovely piece. Excuse me while I shovel myself up off the floor. I really try to be happy that David’s happy, but in addition to missing him, I miss all the fun stuff with you guys. But hey, BEGIN. is coming soon and there will be lots to talk about. Can you imagine the excitement as the emergence date draws near?? Spazz city. Gotta love the whole package. Thanks for that hug, oh yeah. Beautiful snippets galore! My oh my, just listened to the snippet of Broken. Oh David, pure heart. Sounds like a beautiful song. Cannot wait to hear the whole thing. A few seconds and you feel so much through that voice. (not wanting to leave any spoilers for the non-listeners)! Just a tiny spazz or two, haha. spazz away, pepp, lol … Broken is the song I’ve been looking forward to the most… THIS ONE IS REALLY KILLING MEEEEEEEEEE NOT TO LISTEN TOOOOOOOOOOOOOOOOOOOOOOOOOOO!!!!!!!!!!!!!!!!!!!!!!!!!!!! TOfan, I can kinda understand your wanting to wait. And it’s not much longer. This “Broken” snippet has some vocal elements like “Elevator.” Woo Hoo!! And you are waiting for what amounts to the Archu-Christmas morning…the tree is decorated, lights flashing their beautiful auras, presents under the tree wrapped with sparkling ribbons and colorful paper. If “anticipation is greater than realization,” then you are already in alt beyond us snippet realizers. I’m cheering you on from the snippet listener bleachers. GO TOfan! GO! You have strength of a lion TOfan, I commend you, lol. You really do have something special to look forward too, heck we all do! You guys are KILLLLING me here, am DYING to hear Broken but I’ve lasted this long so I might as well keep going with the flow *bites both hands* …. and meant to say a big welcome to Bychance (love your screen name btw, don’t think I’ve ever seen it before!) … loved ever word of your comment.